This $225M project includes relocation of water utilities that are in conflict with the planned roadway improvements associated with the new Port Access Road, which will provide access from the proposed marine terminal to I-26 while maintaining service for commuters. The project will be completed independently by a Charleston Water System (CWS) contractor prior to the road improvements under an agreement with SCDOT. Hussey Gay Bell is providing the necessary water main relocations in addition to a topographic survey including easements, preliminary engineering, ESA, geotechnical, design, permitting, bid phase, and construction phase services associated with this project. 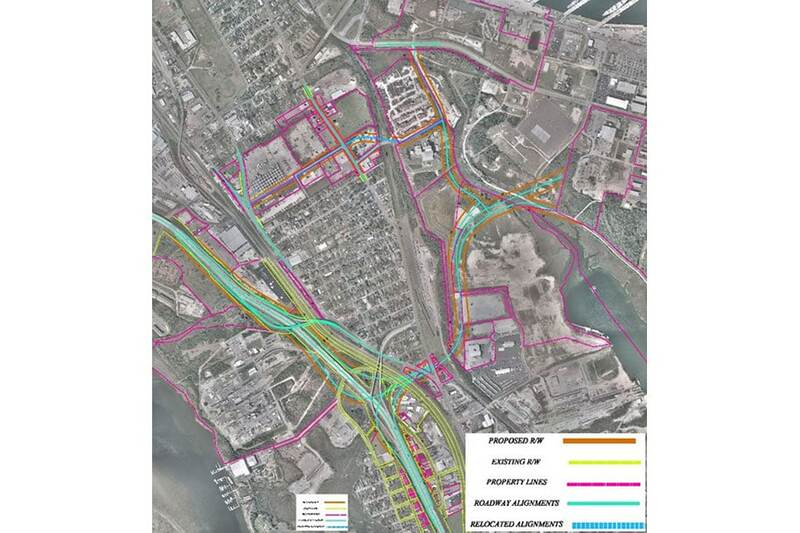 The new Port Access Road will not only accommodate traffic from the marine terminal, but also serve local commuters and provide roadway improvements to surface streets.